In fact, there’s a lot to love about Lithuania. For the moment, it also happens to be a quite affordable location to visit, with an impressive variety of amazing things to do and see. Honestly, you might end up spending days and weeks there, and it still wouldn’t give you enough time to see the full breadth and awe of the country. In today’s article, we’ll look at the 6 most memorable things you can experience in Lithuania. Just be careful: after you’ve read this article, you will develop an obsessive urge to drop everything and jet away to this mesmerizing country. Your adventure to this tiny country will likely start in the capital city, Vilnius, which is not a big nor small city, with a population of approximately half a million people. Luckily for you, this city is also the #1, must-visit location of the country. 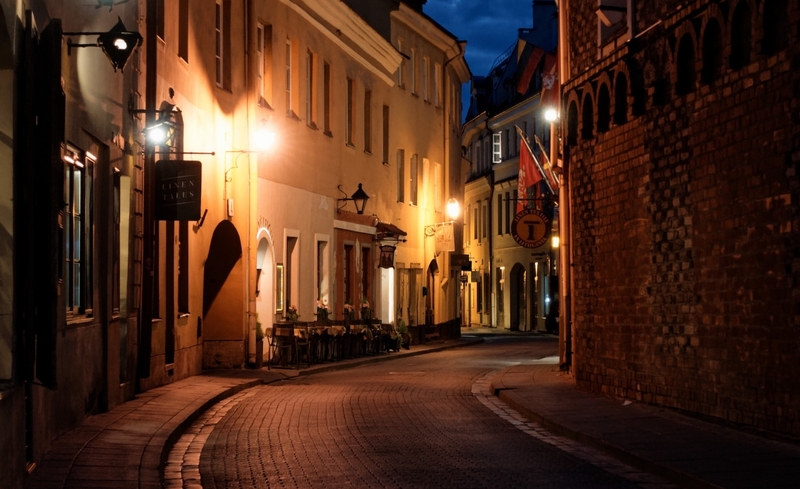 This is a great city, but the most impressive part of it is the Old World-style Old Town with its charming alleys, cobblestone streets and captivating buildings which show off architecture with the Renaissance, Gothic, and Neoclassical styles. No wonder that it was named a UNESCO World Heritage Site. Still, if you aren’t too excited by seeing the architecture, you can instead experience all the world-class restaurants in Vilnius or the bustling nightlife, which luckily is also the best right in the middle of the Old Town. 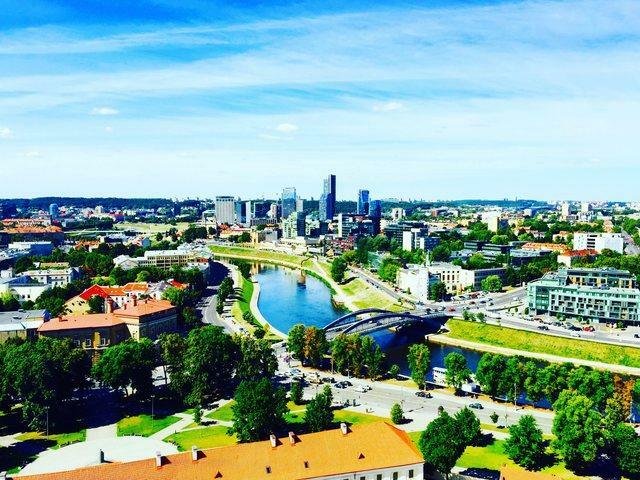 Because your trip will mostly likely start in Vilnius, you can easily enjoy more of Lithuania’s amazing locations. One of these memorable places is Užupis, an independent state established right at the edge of the Vilnius Old Town. This is a very artsy, bohemian state that even has its very own Constitution. We won’t ruin it for you by explaining to you what’s included on it–since half the fun is reading it for yourself–but suffice it to say this: it was created by eccentrics after the fall of the Soviet Union, and the independent republic doesn’t take itself very seriously. The city is most often compared to Montmarte in Paris or Copenhagen’s Freetown Christiana. 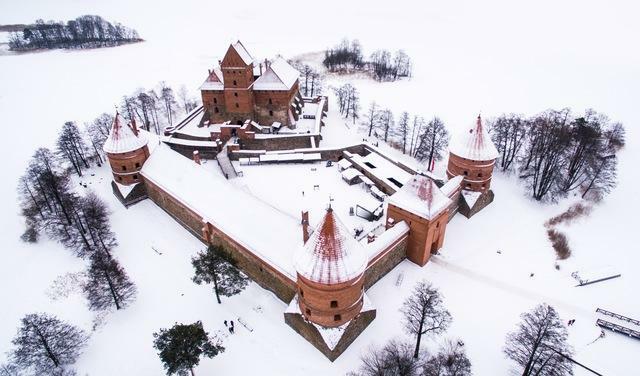 Built in the 14th century, the fortress called the Trakai Island Castle is a beautiful, fairy-tale like castle that’s recommended for a visit in both summer and winter. The castle also sits on a beautiful lake, which means you can easily spend half the day there–partly to explore the castle museum or just to stroll around Trakai, which is a normal, attractive small town. While you’re there, don’t forget to eat some of the local kibinai, a scrumptious little pastry that’s usually filled with meat. Up on the coast of Lithuania, you’ll be able to experience the wonderful Curonian Spit–but it’s best to visit in summer. The Curonian Spit is a long peninsula that boasts some amazing nature and high golden sand dunes. This is a place made for easy activities like calming bike rides or peaceful walks through the thick woods, picturesque sand dunes and scenic beach villages. The Spit also has some tasty smoked fish that they’re very proud of — and I highly recommend you try their smoked salmon appetizers. The long, complicated history of Lithuania makes it clear why the Hill of Witches is such an interesting site to visit. This group of hills can be found on the coast near the Curonian Spit. The popular Hill of Witches is an old public path that will lead you past incredible statues of goddesses, dragons, and–as the name implies–witches. Although these creations can seem ancient, the statues were in fact created in 1979 as a community project. Nonetheless, they have become an integral facet of Lithuanian history and folklore, as locals come together here during Midsummer’s Eve to sing and celebrate the summer. This is Lithuania’s largest resort town–a delightful oasis that’s popular for its natural healing practices. The tiny town is located in Lithuania’s southern region, an hour’s drive from Vilnius. Most local doctors send patients to Druskininkai to get some relaxation, including making use of the famous health processes found almost everywhere in the area. But besides the medical benefits, you can also enjoy the magnificent pine forests and peaceful rivers that run through Druskininkai. So let’s say that you have just a few days to enjoy the country, and you want to find out which is the absolute best part to visit. Luckily, we’ve got some good news for you: this is such a small country that you can explore at least three of these locations within just two days. It’s just a 3 hour ride from the capital Vilnius–in the south of the country–to the coast up north, and a majority of these destinations are between those two areas. No matter what place you end up traveling to, we’re pretty sure that you’re going to enjoy it and want to come back again. Author bio: Bernard Meyer is a food and travel blogger over at the Meyer Food Blog. Originally born in Cape Town and raised in Miami, he now lives with his wife and daughters in Vilnius, Lithuania.